Evelyn Arthur St. John Waugh (28 October 1903 – 10 April 1966) was an English satirical novelist. I had warned my father that my viva might mean a second. It meant a third, and I was overcome with regret, not, I am ashamed to say, for the giddy nights, but for the sober ones. I had not done much work, but I had done some. Had I known I was only to get a third I would not have wasted my time. No.3 Commando was very anxious to be chums with Lord Glasgow, so they offered to blow up an old tree stump for him and he was very grateful and said don't spoil the plantation of young trees near it because that is the apple of my eye and they said no of course not we can blow a tree down so it falls on a sixpence and Lord Glasgow said goodness you are clever and he asked them all to luncheon for the great explosion. So Col. Durnford-Slater DSO said to his subaltern, have you put enough explosive in the tree?. Yes, sir, 75lbs. Is that enough? Yes sir I worked it out by mathematics it is exactly right. Well better put a bit more. Very good sir. And when Col. D Slater DSO had had his port he sent for the subaltern and said subaltern better put a bit more explosive in that tree. I don't want to disappoint Lord Glasgow. Very good sir. Then they all went out to see the explosion and Col. DS DSO said you will see that tree fall flat at just the angle where it will hurt no young trees and Lord Glasgow said goodness you are clever. So soon they lit the fuse and waited for the explosion and presently the tree, instead of falling quietly sideways, rose 50 feet into the air taking with it ½ acre of soil and the whole young plantation. And the subaltern said Sir, I made a mistake, it should have been 7½ not 75. Lord Glasgow was so upset he walked in dead silence back to his castle and when they came to the turn of the drive in sight of his castle what should they find but that every pane of glass in the building was broken. So Lord Glasgow gave a little cry and ran to hide his emotions in the lavatory and there when he pulled the plug the entire ceiling, loosened by the explosion, fell on his head. His courtesy was somewhat extravagant. He would write and thank people who wrote to thank him for wedding presents and when he encountered anyone as punctilious as himself the correspondence ended only with death. Don't give your opinions about Art and the Purpose of Life. They are of little interest and, anyway, you can't express them. Don't analyze yourself. Give the relevant facts and let your readers make their own judgments. Stick to your story. It is not the most important subject in history but it is one about which you are uniquely qualified to speak. Of children as of procreation— the pleasure momentary, the posture ridiculous, the expense damnable. "The pleasure is momentary, the position ridiculous, and the expense damnable" is sometimes attributed to Lord Chesterfield (British statesman, diplomat and wit, 1694-1773), but has not been found in his works. A typical triumph of modern science to find the only part of Randolph that was not malignant and remove it." Diary entry (March 1964), after hearing that doctors had removed a benign tumor from Randolph Churchill. I put the words down and push them a bit. Aesthetic value is often the by-product of the artist striving to do something else. We cherish our friends not for their ability to amuse us, but for ours to amuse them -- a diminishing number in my case. There is a great deal to be said for the Arts. For one thing they offer the only career in which commercial failure is not necessarily discreditable. Please bear in mind throughout that IT IS MEANT TO BE FUNNY. Mr. Sniggs, the Junior Dean, and Mr. Postlethwaite, the Domestic Bursar, sat alone in Mr. Sniggs's room overlooking the garden quad at Scone College. 'Might have been made for you,' said Mr Levy. 'But what am I to teach them?' said Paul in sudden panic. There will be a prize of half a crown for the longest essay, irrespective of any possible merit. Chokey thinks religion is just divine. They should have told me that at the end of that gay journey and flower-strewn path were the hideous lights of home and the voices of children. I don't believe that people would ever fall in love or want to be married if they hadn't been told about it. It's like abroad: no one would want to go there if they hadn't been told it existed. And the only interest about him arises from the unusual series of events of which his shadow was witness. That's the public-school system all over. They may kick you out, but they never let you down. I came to the conclusion many years ago that almost all crime is due to the repressed desire for aesthetic expression. I haven't been to sleep for over a year. That's why I go to bed early. One needs more rest if one doesn't sleep. Anyone who has been to an English public school will always feel comparatively at home in prison. It is the people brought up in the gay intimacy of the slums who find prison so soul-destroying. Creative Endeavour lost her wings, Mrs. Ape. Mrs. Ape's famous hymn, There ain't no flies on the Lamb of God. A copy of Dante's Purgatorio excited his especial disgust. "French, eh?" he said. "I guessed as much, and pretty dirty too, I shouldn't wonder. Now just you wait while I look up these here books"—how he said it!—"in my list. Particularly against books the Home Secretary is. If we can't stamp out literature in the country, we can at least stop its being brought in from outside." "We, Seth, Emperor of Azania, Chief of Chiefs of Sakuyu, Lord of Wanda and Tyrant of the Seas, Bachelor of the Arts of Oxford University, being in this the twenty-fourth year of our life, summoned by the wisdom of Almighty God and the unanimous voice of our people to the throne of our ancestors, do hereby proclaim. . ." Seth paused in his dictation and gazed out across the harbour where in the fresh breeze of early morning the last dhow was setting sail for the open sea. "Rats," he said; "stinking curs. They are all running away." "You see my adjutant made rather a silly mistake. He hadn't had much truck with boots before and the silly fellow thought they were extra rations. My men ate the whole bag of tricks last night." "No one I am thankful to say," said Mrs. Beaver, "except two housemaids who lost their heads and jumped through a glass roof into the paved court." While still a young man, John Courteney Boot had, as his publisher proclaimed, "achieved an assured and enviable position in contemporary letters." As there was no form of government common to the peoples thus segregated, nor tie of language, history, habit, or belief, they were called a Republic. Feather-footed through the plashy fen passes the questing vole. An oft-quoted example of William Boot's style. When first mentioned in the novel it is "splashy" and not "plashy", but this is a remembrance of another journalist; when Boot himself quotes it, he has "plashy". "The Beast stands for strong mutually antagonistic governments everywhere," he said. "Self-sufficiency at home, self-assertion abroad." A quote from Lord Copper. Other nations use 'force'; we Britons alone use 'Might'. "I will not stand for being called a woman in my own house…"
Lord Copper, proprietor of the Daily Beast is a man to whom one never says 'No' directly. This is what one says instead. Lord Copper quite often gave banquets; it would be an understatement to say that no one enjoyed them more than the host, for no one else enjoyed them at all, while Lord Copper positively exulted in every minute. When I reached C Company lines, which were at the top of the hill, I paused and looked back at the camp, just coming into full view below me through the grey mist of early morning. To know and love one other human being is the root of all wisdom. How ungenerously in later life we disclaim the virtuous moods of our youth, living in retrospect long, summer days of unreflecting dissipation. There is no candour in a story of early manhood which leaves out of account the home-sickness for nursery morality, the regrets and resolutions of amendment, the black hours which, like zero on the roulette table, turn up with roughly calculable regularity." "It is typical of Oxford," I said, "to start the new year in autumn." It doesn't matter what people call you unless they call you pigeon pie and eat you up. My theme is memory, that winged host that soared about me one grey morning of war-time. We possess nothing certainly except the past. She seemed to say "Look at me. I have done my share. I am beautiful. It is something quite out of the ordinary, this beauty of mine. I am made for delight. But what do I get out of it? Where is my reward?" That was the change in her from ten years ago; that, indeed, was her reward, this haunting, this magical sadness which spoke straight to the heart and struck silence; it was the completion of her beauty." I have lived carefully, sheltered myself from the cold winds, eaten moderately of what was in season, drunk fine claret, slept in my own sheets; I shall live long. Part 3, chapter 5, Lord Marchmain's dying soliloquy. O God, if there is a God, forgive him his sins, if there is such a thing as sin. Quomodo sedet sola civitas. Vanity of vanities, all is vanity. All day the heat had been barely supportable but at evening a breeze arose in the West, blowing from the heart of the setting sun and from the ocean, which lay unseen, unheard behind the scrubby foothills. It shook the rusty fringes of palm-leaf and swelled the dry sounds of summer, the frog-voices, the grating cicadas, and the ever present pulse of music from the neighbouring native huts. You never find an Englishman among the under-dogs—except in England, of course. In the dying world I come from, quotation is a national vice. No one would think of making an after-dinner speech without the help of poetry. It used to be the classics, now it's lyric verse. Tomorrow and on every anniversary as long as the Happier Hunting Ground existed a postcard would go to Mr. Joyboy: Your little Aimée is wagging her tail in heaven tonight, thinking of you. It may happen in the next hundred years that the English novelists of the present day will come to be valued as we now value the artists and craftsmen of the late eighteenth century. He had no wish to obliterate anything he had written, but he would dearly have liked to revise it, envying painters, who are allowed to return to the same theme time and time again, clarifying and enriching until they have done all they can with it. A novelist is condemned to provide a succession of novelties, new names for characters, new incidents for his plots, new scenery; but, Mr Pinfold maintained, most men harbour the germs of one or two books only; all else is professional trickery of which the most daemonic of the masters — Dickens and Balzac even — were flagrantly guilty. His strongest tastes were negative. He abhorred plastics, Picasso, sunbathing and jazz — everything in fact that had happened in his own lifetime. Your action, and your action alone, determines your worth. If Brideshead Revisited is not a great book, it's so like a great book that many of us, at least while reading it, find it hard to tell the difference. The lady said, "It's no good trying to buy a paper here. That Sir William Beveridge is going to abolish want, so all the papers were sold out". Later that day or the next day I asked him to come to lunch. 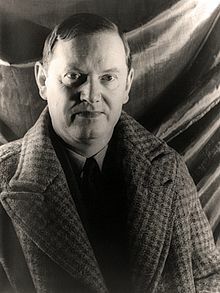 I was meeting with Evelyn Waugh, an old friend and famous writer. They did not get on at all well. Evelyn Waugh said to him at the end, "How do you get your main pleasure in life, Sir William?" He paused and said, "I get mine trying to leave the world a better place than I found it". Evelyn Waugh said, "I get mine spreading alarm and despondency" — this was in the height of the war — "and I get more satisfaction than you do". So he did not meet with universal acclamation, but nearly everyone admired Beveridge at that time. He was a wonderful man. Lord Longford, recounting a dinner he held during the Second World War. In fact, the real problem with the thesis of A Genealogy of Morals is that the noble and the aristocrat are just as likely to be stupid as the plebeian. I had noted in my teens that major writers are usually those who have had to struggle against the odds -- to "pull their cart out of the mud," as I put it -- while writers who have had an easy start in life are usually second rate -- or at least, not quite first-rate. Dickens, Balzac, Dostoevsky, Shaw, H. G. Wells, are examples of the first kind; in the twentieth century, John Galsworthy, Graham Greene, Evelyn Waugh, and Samuel Beckett are examples of the second kind. They are far from being mediocre writers; yet they tend to be tinged with a certain pessimism that arises from never having achieved a certain resistance against problems. This page was last edited on 9 July 2018, at 14:38.